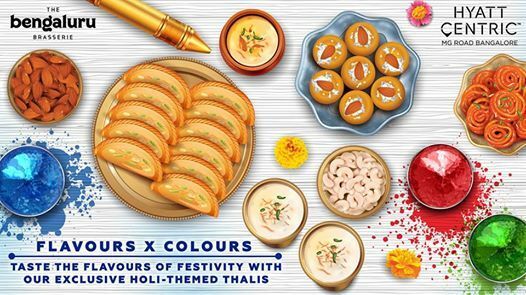 Get lost in the burst of flavours this Holi as we have arranged a myriad of thalis to get you in the mood for celebrations! 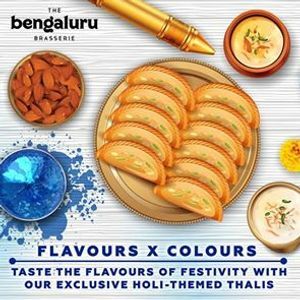 So come to The Bengaluru Brasserie, Hyatt Centric MG Road Bangalore on 21st March to celebrate the festival of colours! Call 080 4018 7200 for reservations!